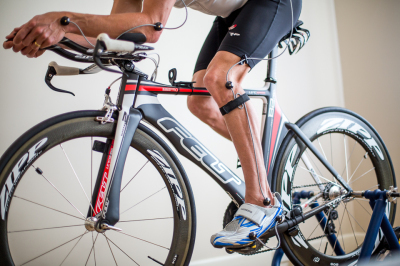 At E3 Endurance, we utilize the Retül 3-D Dynamic bike fitting system to compliment our 17 years of bike fitting expertise. Each athlete will be taken through a physical assessment to address strengths and limitations of movement and positions. Cyclists will be interviewed about their history and goals on the bike prior to finding the perfect fit. 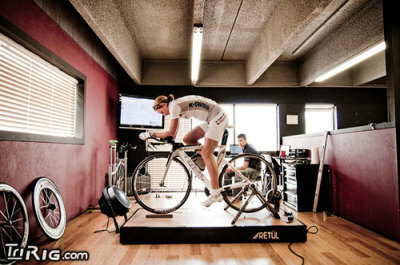 Who benefits from a professional bike fit? Anyone who is uncomfortable on their bike, or anyone who experiences any pain after riding for long durations or high intensities will benefit. If you bought a bike at your local bike shop, eBay, Craigslist, or from a friend and were never fitted professionally, you should definitely consider improving your comfort, output, endurance, and enjoyment of riding a bike by having a professional bike fitter help put you in the best position for you. Our fit professional, Matthew Clancy, has over 17 years of experience fitting cyclists from beginners to professionals. He began his fit process by doing professional bike builds to match a rider’s geometry. In 2012, he flew to Italy to learn about the process of custom bike building and how that translates to optimal output for riders. The result of that was the onset of the CUBO3 custom handmade Italian bike line. In 2014, he worked at the Los Angeles Velodrome testing rider aerodynamics and positioning.